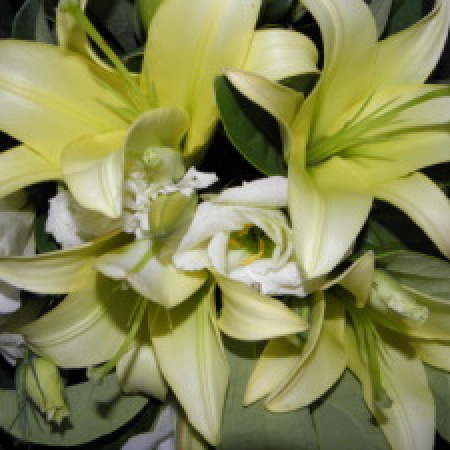 Delight with this gorgeous bouquet of long lasting oriental lilies, together with the soft look of the white lisianthus, lush green foliages and gift wrapped. Perfect for a Birthday,Valentines Day, Thank You, Thinking of You or I Love You occassion. Fragrant and long lasting bouquet created by Amaranthine Flowers By Design, Charlestown Square, Newcastle and delivered in a convenient temporary vase.